Kalifornia Love: Have you purchased anything from MAC Liberty of London yet? Promo Codes for MAC..
Have you purchased anything from MAC Liberty of London yet? Promo Codes for MAC..
2. LIBERTY (expires 03/14/10, 11:59PM EST)- Free shipping on any purchase. 3. Free shipping is automatically applied to any orders over $50. If you want any items from this collection, I recommend you run out and get them quick or at least put them on hold. It seems to be very popular. 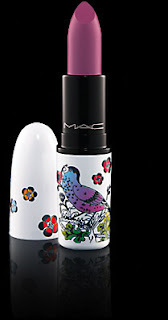 I do think this is the cutest MAC packaging in quite awhile.